General Motors has launched its new car Chevrolet Cruze in India. 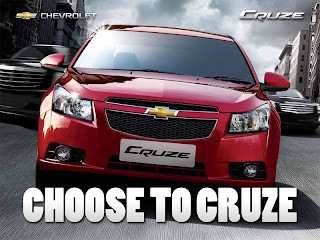 Chevrolet Cruze is priced at Rs 10.99 lakh for the LT model and Rs 12.45 lakh for the LTZ model. Chevrolet Cruze is available in six colors, Atlantis Blue, Light Gold, Olympic White, Velvet Red, Misty Lake and Caviar Black.